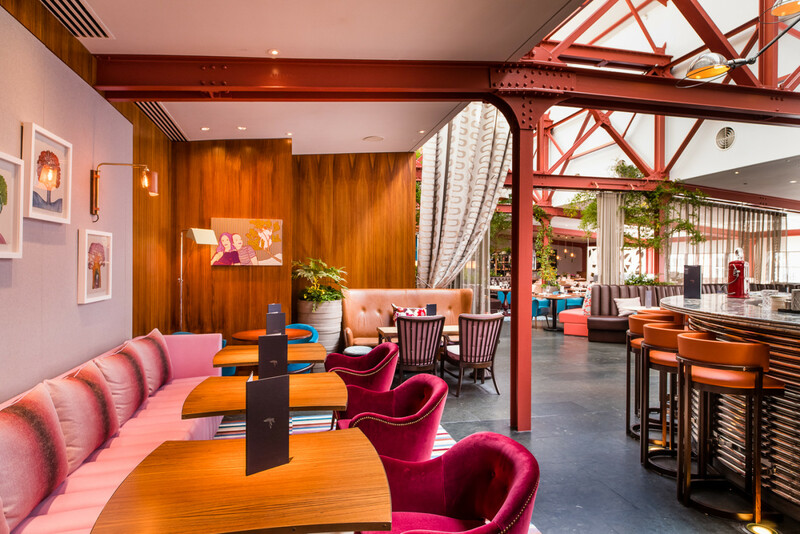 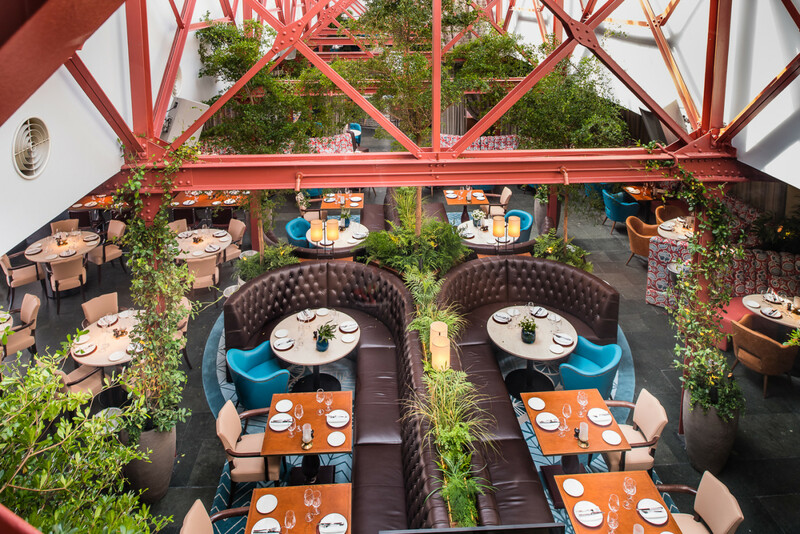 Bluebird, the iconic Chelsea restaurant has undertaken an extensive refurbishment of its interiors by Sagrada. 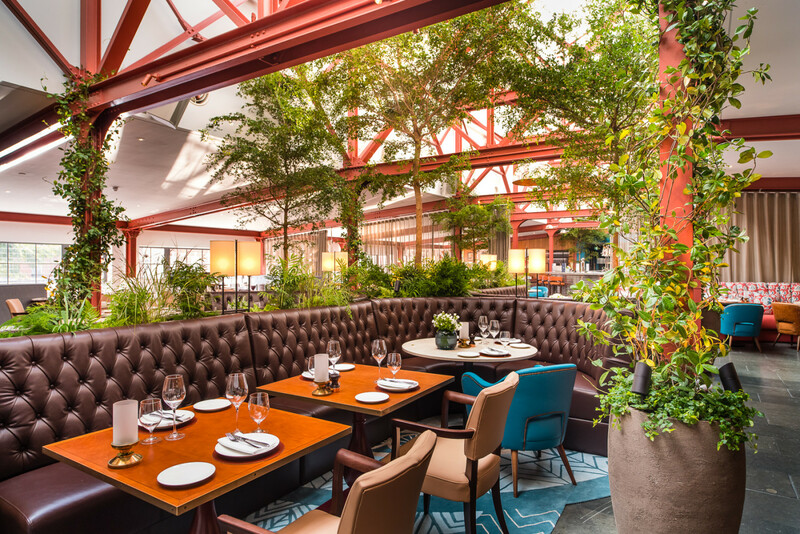 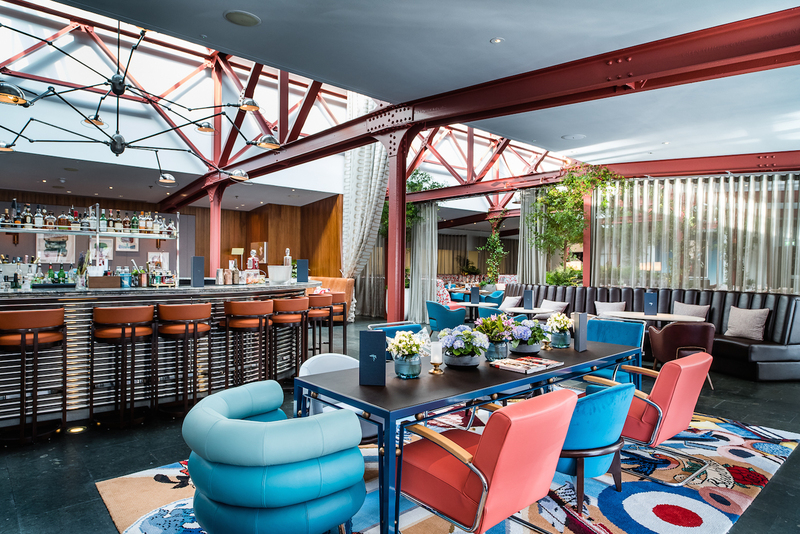 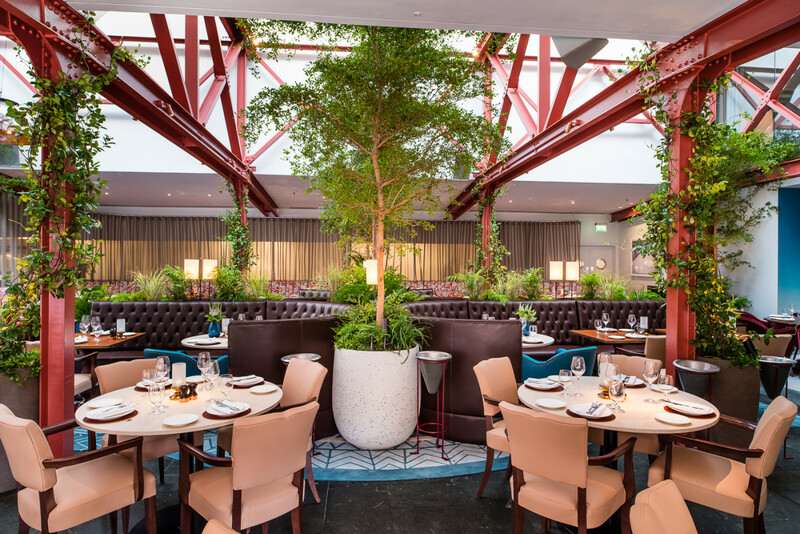 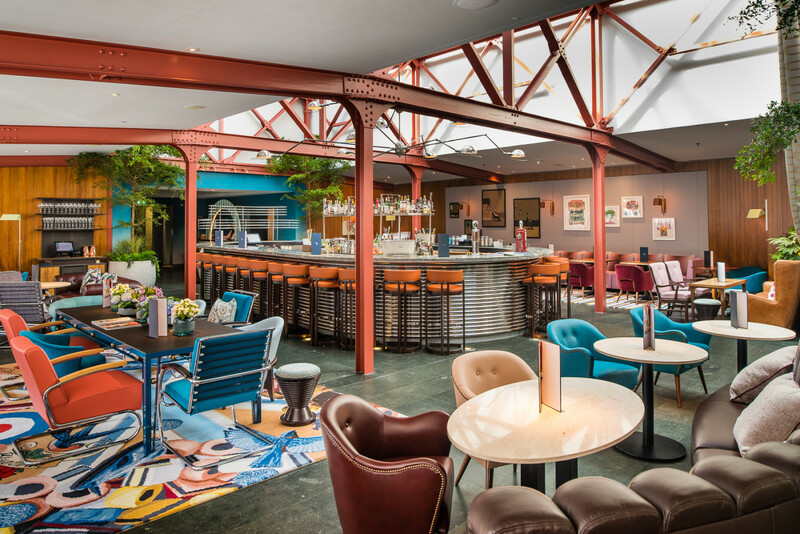 The revamp celebrates the building’s history as the first garage of the Bluebird Motor Company in 1923 with the atrium featuring trees, climbing plants, wild flowers, grass and herbs with custom-made furniture whose fabrics and textures nod to English racing. 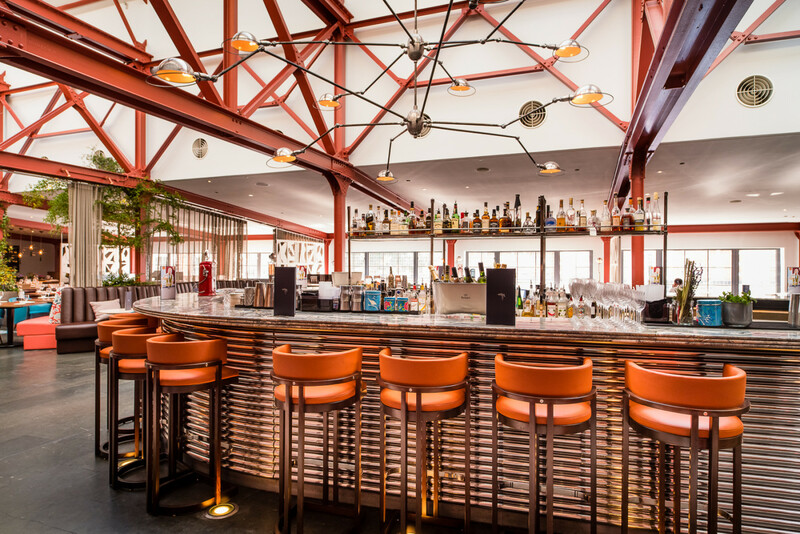 As part of this outstanding project, our involvement consisted of supply and installation of a large U-shaped bar countertop in Blue Fusion quartzite with bespoke edge detailing of 3 layers of 20mm bull-nose to create visual consistency with the bar’s front panelling made of metal pipes. 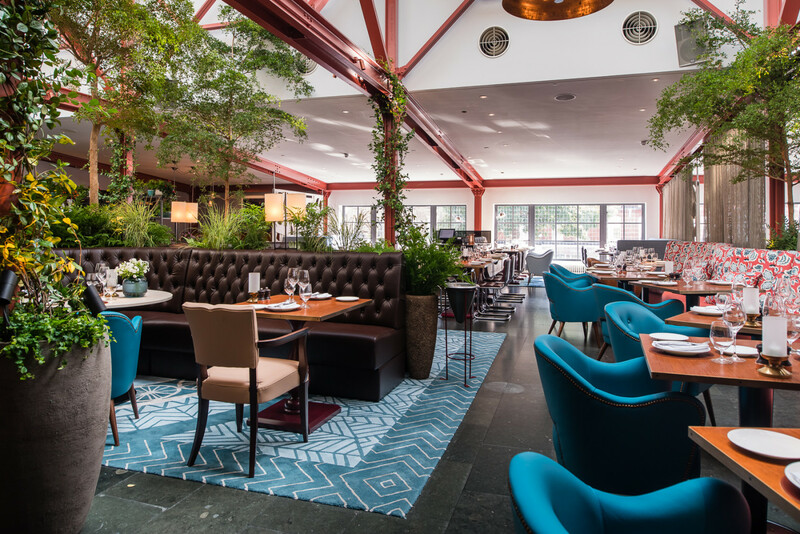 The beauty of this blue quartzite from Brazil with random multi-coloured movements, including bronze, reds and nuances of green, is further enhanced by the contrast with the original read steel frame and velvet seats. 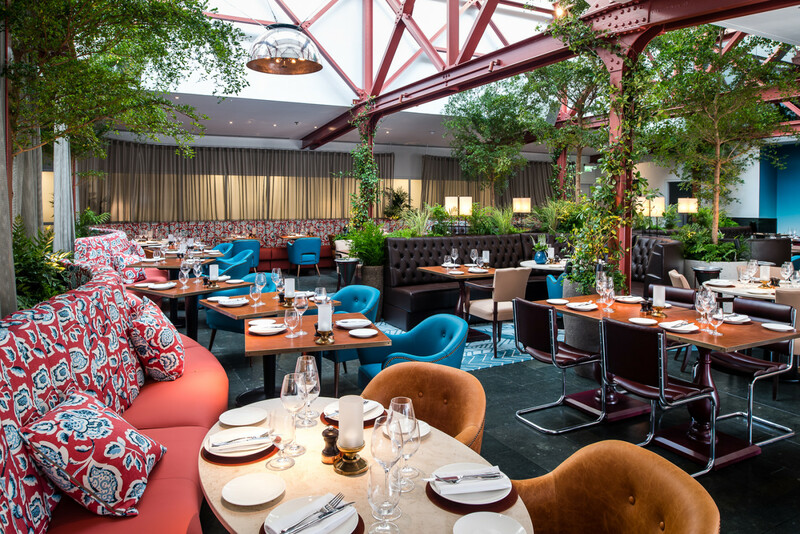 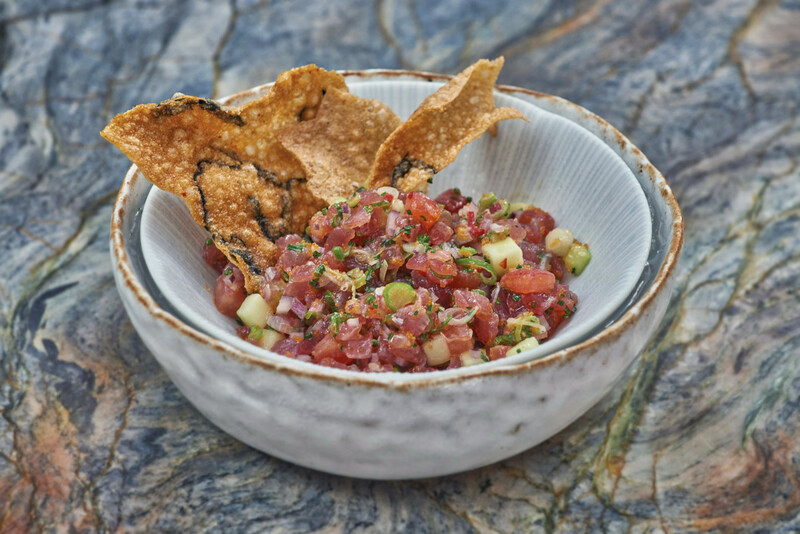 The outcome is a relaxed and sociable atmosphere for a perfect dining experience.